Today we’ve managed to corral Carly Turnquist, forensic accountant, as she shares the story behind the story for her latest adventure, Hidden Assets. She is being interviewed by her creator, Leeann Betts. Leeann: Well, Carly, nice of you to drop in. Carly: Not like I had any choice. I didn’t want you to write me out of my own series. LAB: Hard to do that. But that’s a threat for another day. Carly, your readers love that you don’t take yourself seriously. Why is that? CT: Why do they love me, or why don’t I take my seriously? LAB: Why don’t you take yourself seriously? CT: My husband Mike says I’m a full-time job. I think he’s right, and that seems unfair. So I try to laugh at myself more than I cry, because I think maybe that will make his job easier. Also, although when I’m faced with a decision, I feel like I make the right decision, but when I look back, I can see I should have thought it through a little better. Which means I can laugh at myself later on. Not as much as Mike laughs at me, but some. LAB: You’re a forensic accountant. What exactly do you do? CT: Besides create work for Mike? (laughs) A forensic accountant is an accountant who has been specially trained to look for things people try to hide. For example, the IRS hires tons of us to ferret out taxable income people try to disguise as something else. Divorce attorneys hire us to help their clients find money and assets that the opposing party has hidden. Estate attorneys also use our services. Because we use standardized accounting principles, our work can be checked and tested, which gives us credibility in court. Forensic really just means “forum” or the ability to testify credibly in court. It doesn’t have anything to do with dead bodies. Although, I have been known to stumble over one or two bodies in the past. LAB: Which is what makes you an accidental sleuth, right? LAB: Not here to talk about him. So your friend asks you to help her find some missing property, right? CT: Right. She’s getting a divorce, and I know how that feels. And she thinks her husband has taken some of their joint marital property and hidden it so he won’t have to share it with her in the divorce settlement. Plus we haven’t seen each other in years. We were friends in college, and have kept in touch ever since. LAB: Apparently there’s a backseat driver story she’s going to share with Mike? CT: Apparently so. I was a little bit wild in college, not to mention a wee bit controlling. Don’t ask Mike, though. He’d say I haven’t changed a bit. LAB: And then there’s something going on with Mike’s client, right? Didn’t that happen in the last book, too? CT: Yes. In Broke, Busted, and Disgusted, Mike’s client ends up murdered, and Mike is suspected, except he is missing. Which caused me no end of grief, let me tell you. He hasn’t had the nerve to complain lately that I’m a full time job, after that little escapade. In Hidden Assets, his client is trying to pull the wool over his eyes. Mike is writing a new computer program for this client, and Mike discovers some bad practices and crooked dealings happening behind the scenes of the program, in a ghost module, so to speak. LAB: So why did you take the train to Wyoming? CT: Because of the episode on the plane to New Mexico, Mike thought it would be safer to take the train. Days of boring nothingness. At least, that’s what he hoped. And he was right, until the night we were due to get off. LAB: Without giving away the ending, does the story end well? CT: As you know, I have a strong sense of justice. Of course the story ends well. Not for everybody, of course. But the good guys win and the bad guys—not in the gender sense, because I don’t want to give it away, as you said—get theirs. Justice is satisfied, and I’m off home again to quiet Bear Cove, Maine. LAB: But Bear Cove, Maine, isn’t always peaceful, is it? CT: True. It probably has a higher per capita murder rate than New York City, but it keeps things interesting. LAB: So what’s up for you next? CT: Well, a good friend wants to thank me for solving the murder and saving her life, so she’s sending us on an Alaskan cruise. Think about it, seven days of sailing, whale watching, and eating. What could go wrong? LAB: Yes, Carly, what could go wrong, indeed? Leeann Betts writes contemporary suspense, while her real-life persona, Donna Schlachter, pens historical suspense. 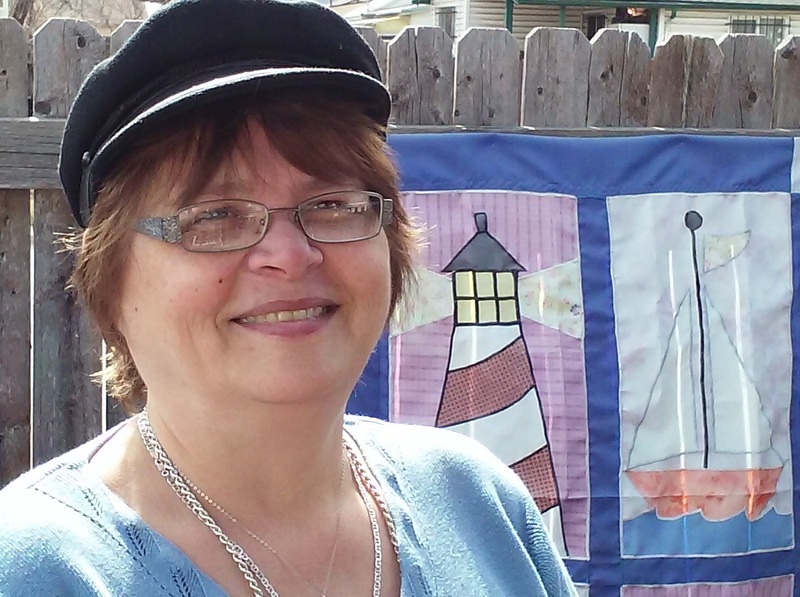 She has released five titles in her cozy mystery series, By the Numbers. In addition, Leeann has written a devotional for accountants, bookkeepers, and financial folk, Counting the Days, and with her real-life persona, Donna Schlachter, has published a book on writing, Nuggets of Writing Gold, a compilation of essays, articles, and exercises on the craft. She publishes a free quarterly newsletter that includes a book review and articles on writing and books of interest to readers and writers. You can subscribe at www.LeeannBetts.com or follow Leeann on www.AllBettsAreOff.wordpress.com. Find her on Facebook or Twitter. Her books are available on Amazon. I love getting to know Carly. Thanks for visiting my blog. 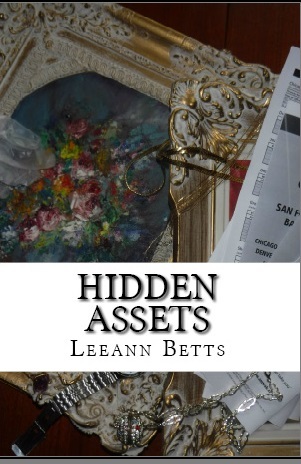 I can't wait to read hidden assets.